The Phillies find themselves in territory that has been unfamiliar to them over the past couple seasons. They have dropped a pair of games at home and trail in a post season series for the first time, a period that saw them go 19-5 until the Yankees rung up three consecutive wins. They now find themselves fighting to preserve their fading hopes to repeat as World Champions. The task is daunting as they trail 3-1 and face the "best team that money can buy", who recorded the most wins of any team in baseball in the regular season. The Yankees have ridden a rotation of high priced free agent acquisitions and a line-up of big salaried free agents anchored by A-Rod and Mark Teixeira to their current position. And, being the beneficiaries of some bad calls in the playoffs and an array of lucky hits in the World Series has not hurt their cause. The Phillies find themselves behind in the series for a few reasons. Some of their biggest bats have not been able to solve the Yankees pitching. Ryan Howard, Raul Ibanez, Jimmy Rollins and Shane Victorino have all struggled mightily in the World Series and are hitting a combined .190 with no home runs. And, Howard and Ibanez have struck out 19 times in 33 ABs. Chase Utley has owned CC Sabathia, cracking 3 home runs and a double off him, but is hitless against everybody else. From a pitching perspective, last year's two post season heroes have not come through as the team was counting on them doing. In Game 3, Cole Hamels started very strong, but then could not get out of the 5th inning and took the loss. 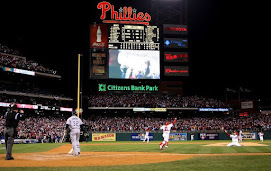 Last night, Brad Lidge also started very strong, but then strayed from his slider and let the game slip away. That is primarily what has not gone right. 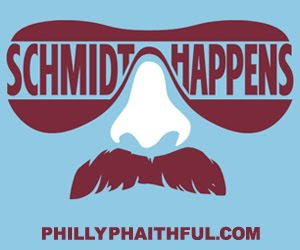 The good news is that the Phillies have the talent and mental toughness to turn it around, so not all is lost. Everyone is familiar with the lopsided statistics associated with a 3-1 series lead and that few teams find a way to overcome the deficit to win. That being said, though, it is not impossible. Especially for a team with the players and winning demeanor of the Phillies. To put it in perspective, the Phillies need to turn the tables, and do to the Yankees what they just did to them. The Yankees won a game at home and then came to Philly and took the next two. All the Phillies need to do is look across the field to the opposing team's dugout to see that it can be done. It won't be easy, but if they simply return to form, a 3-game win streak is surely within their grasp. Tonight the Phillies have their ace on the mound, who has been the most dominant pitcher throughout the post season. The Yankees counter with AJ Burnett, a pitcher noted for top notch stuff and mediocre results. It is hard to envision him shutting down the Phillies again like he did in Game 2, especially since he is pitching on short rest. If the Phillies can take care of business tonight, a healthier Pedro could actually improve upon his earlier performance. He would face Andy Pettitte, who looks beatable and would also be throwing on 3 days rest. And, if they can force a 7th game, the Phillies would probably trot out their entire staff, but the hunch is they would elect to give The Sporting News Rookie of the Year J.A. Happ the start. Of course, none of that matters and is pure speculation unless the Phillies can find a way to reverse fortunes tonight. And, if they do, then the same goes for Wednesday night. The best way to reverse fortunes would be for their All-Stars to find their form. More than anything, the Phillies need Rollins, Victorino, Utley, Howard and Ibanez to be themselves. Jayson Werth has hit home runs at a record pace through the post season, but the Yankees are going to force others to beat them. After a quiet post season, it was a good sign to see Pedro Feliz have a big game. Usually when players slump, somebody ends up paying down the road. The Phillies have, at most, three games left in the season to make that happen. What better time to start than tonight? This is a team with a history of playing its best with its proverbial backs to the wall, whether they are chasing the Mets in the standings or needing a big late game rally against the Dodgers. I don't know about you, but I think too much of them and too much of their ability to count them out. I gotta feeling that tonight's gonna be a good night.